It’s starting to look a lot like Christmas! Soon the CSRA will be buzzing with holiday cheer and we want to help your family have a memorable holiday season. Be sure to check out our Christmas and Holiday Guide! It has Christmas lights, Christmas tree farms and much more! Prices, Dates, Times and Packages Are Subject To Change. See that something is missing? 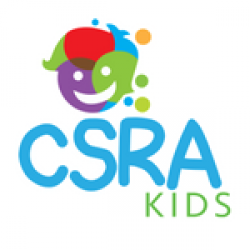 Email us at info@csrakids.com to be added. Join us in the Augusta Mall food court on Saturday, December 1st, 2018 at 9:00 AM. This is a free event with crafts and pictures with Santa. Santa is coming!! He’s making a special stop to see us all at Timms Harley-Davidson of Augusta! Bring the whole family to enjoy pancakes, hot chocolate, and cookies along with crafts and of course, get a FREE picture with Santa & Mrs. Claus. There may even be a GRINCH sighting! The event is free to the public. Come and join us for photo’s with Santa, a Donut Wall, crafts and lots of fun! Bring the family and invite a friend to join you for a spectacular celebration this holiday season. Join us for our Performing Company’s annual Breakfast with Santa! Tickets are $10 and $5 for kids 5 and under. This includes pancakes, sausage, fruit, and a drink. Pictures with Santa are available for $3. Santa is making a special stop at the Odell Weeks Center for a pancake breakfast with milk and juice Saturday, December 15th at 8:30 am in Room 6 & 7. He is excited to listen to children’s holiday wishes! After breakfast, children can make a holiday craft to take home. Pre-registration and fee of $3.00 is required for each child. Parents are admitted free unless they wish to eat breakfast. Santa will be waiting for you at one of Augusta’s oldest buildings – The Old Government House – during this Christmas season. Come take pictures. First come, first serve. Pictures will be available for purchase. This event features pictures with Santa, a special Christmas story, crafts, and a Christmas Carol sing-a-long. Wear your Christmas PJs or your Christmas Card attire for your photos and be prepared for a lot of fun! Location: Pick-up location is the parking garage located at 846 Ellis Street Downtown Augusta. Come enjoy our Christmas tour where we ride along with Mrs. Claus, perform music sing-a-longs, Christmas trivia, tour of lights, and story time with Santa Claus which includes tasty holiday treats. Every child will receive a special souvenir at the end. Pajamas are encouraged! Santa is coming, and he is bringing Mrs. Claus! Everyone is welcome to come to tell Santa your Christmas wishes! No pets, please as this event will be indoors. First come, first serve; please be respectful of others. FREE, bring your own camera! This event features pictures with Santa, a special Christmas story, crafts, and a Christmas Carol sing-a-long. Wear Christmas attire and come prepared for a lot of fun! Santa and Mrs. Clause are coming to A Doll’s World!! Come and enjoy refreshments, storytime, and photo opportunities with Santa and Mrs. Clause. We will also have a “Mail your Letters to Santa” section set up so the children can come in and actually write letters to “Santa”, or bring a letter from home, and mail it to “Santa” in our RED ” letters to Santa” mailbox!!! Join us as we celebrate Christmas at the Depot! Santa and Mrs. Claus will arrive at the Depot in a grand way at 10 a.m. and remain there until 1:00 p.m*. There will be children’s crafts and festive Christmas music. Cookies and milk will be served. This event is free for all children. Be sure to bring your camera! Storytime begins at 1 pm. Come join us again this year for the 2nd Annual Santa Craft Show. Boiled peanuts & kettle corn. Delicious sweet treats, hand craft vendors and Santa will also be joining us from 11 am to 2 pm! Bring your family to Bargain Hunters for an opportunity to meet Santa! (Please bring your own camera to take photos with Santa). There will also be local authors present for book sales and signing. We will provide light refreshments and there is a chance to win prizes. Come celebrate this holiday season at the best consignment store in Augusta! 18 Holiday Trips Near the CSRA!